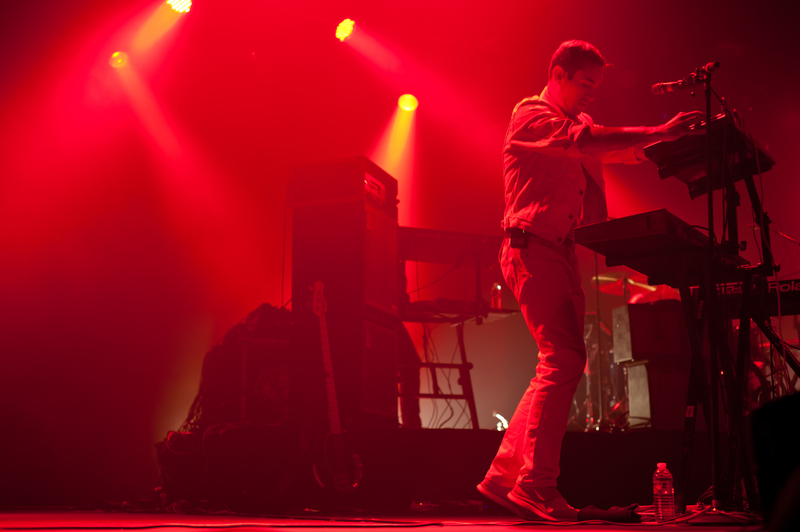 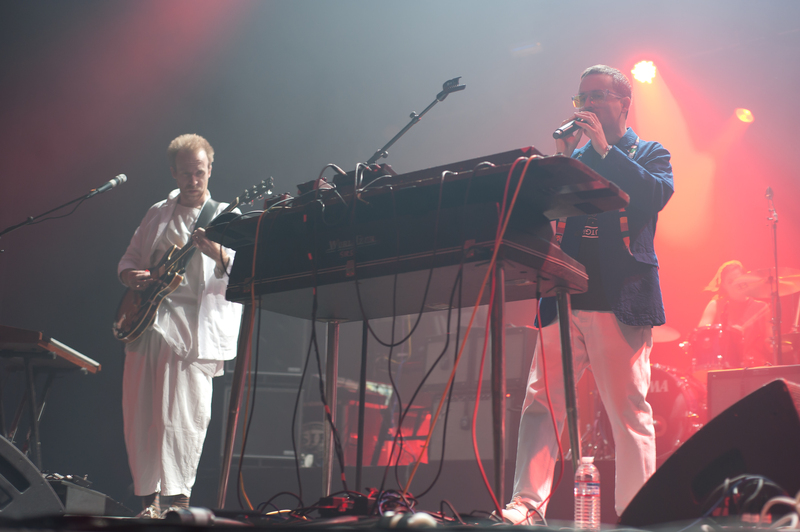 Prolific UK indie-dance powerhouse Hot Chip headlined the historic Fox Theater Oakland last Thursday night. 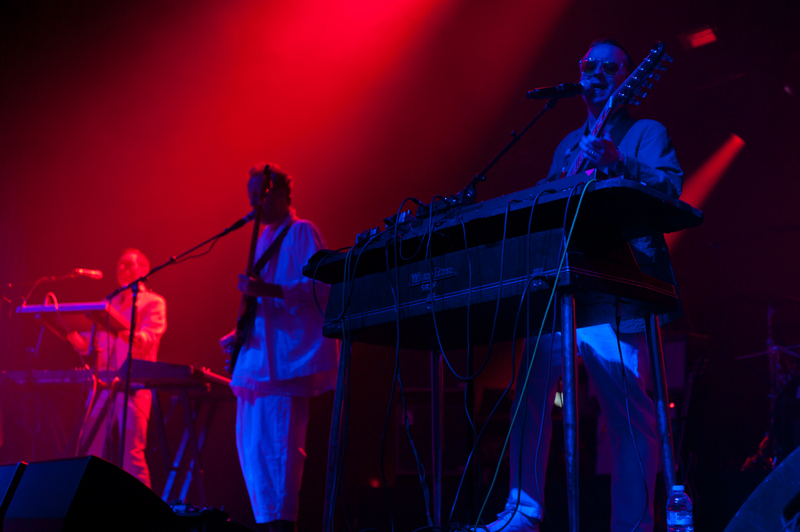 Playing one of their few scheduled U.S. non-festival stops, for a crowd full of adoring fans anxious to get the well-overdue dance party started! 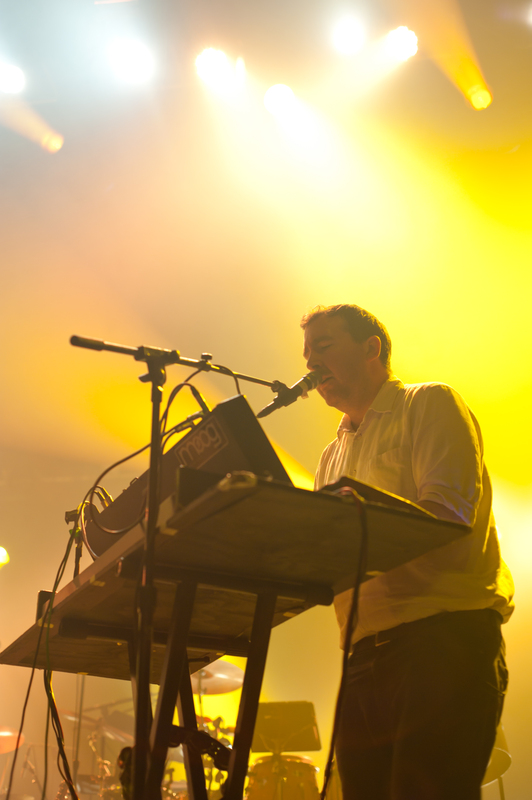 Touring this year in support of its sixth studio album Why Make Sense?, the live electronic seven-piece had only played a handful of shows at indoor venues throughout North America, making this Bay Area tour stop a very special occasion. 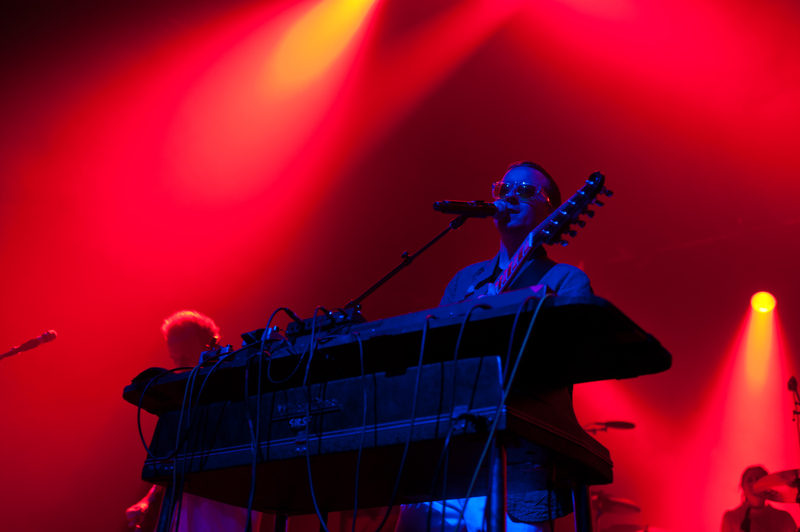 With their layered sound and spectacular stage lighting, Hot Chip have received rave reviews from many of their U.S. festival gigs this year, standing out among some other stellar sets at Outside Lands Music and Arts Festival in August (read our review of the band’s performance here). 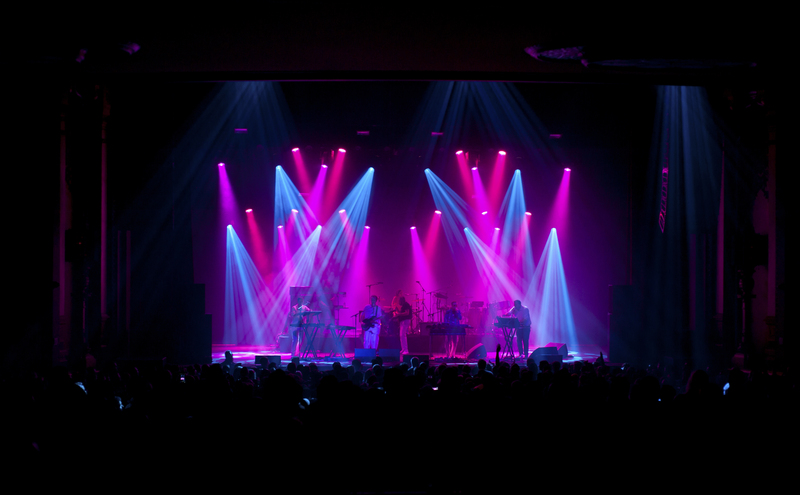 But witnessing them inside at a place like the Fox Theater, Oakland or at any small- to mid-sized venue truly accentuates the caliber of their live show. 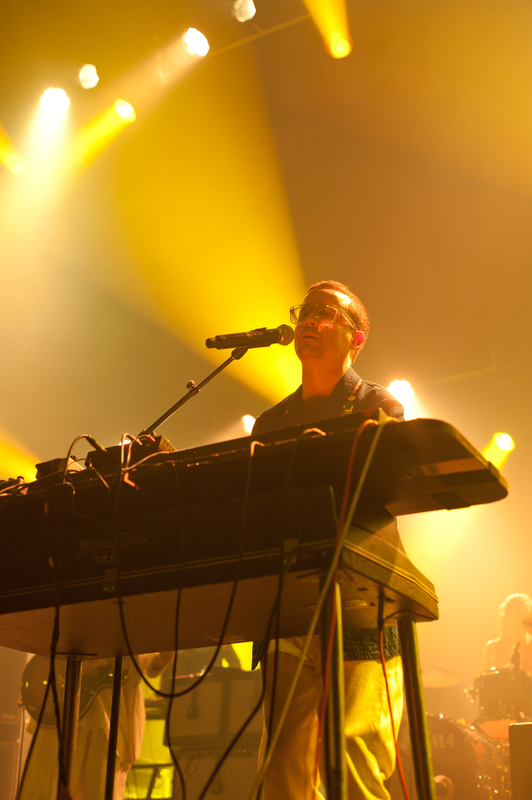 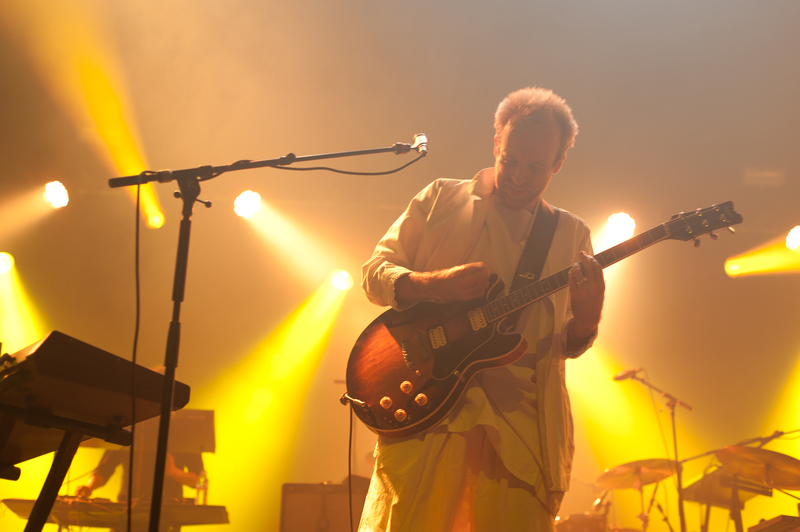 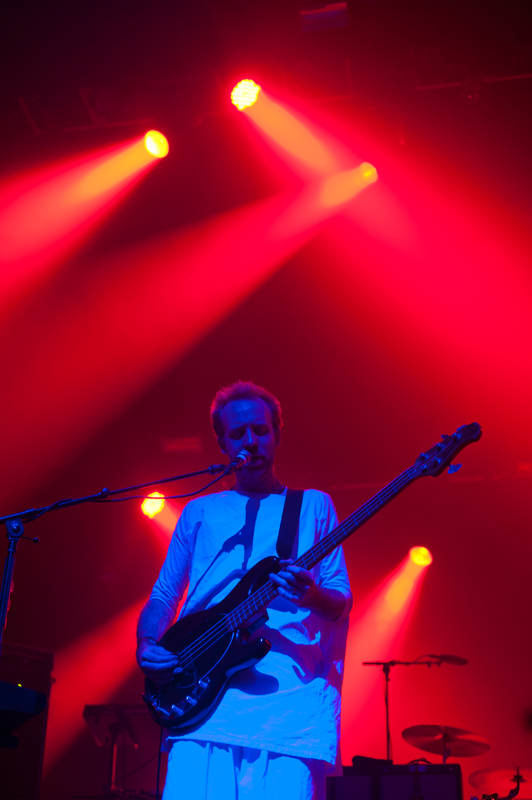 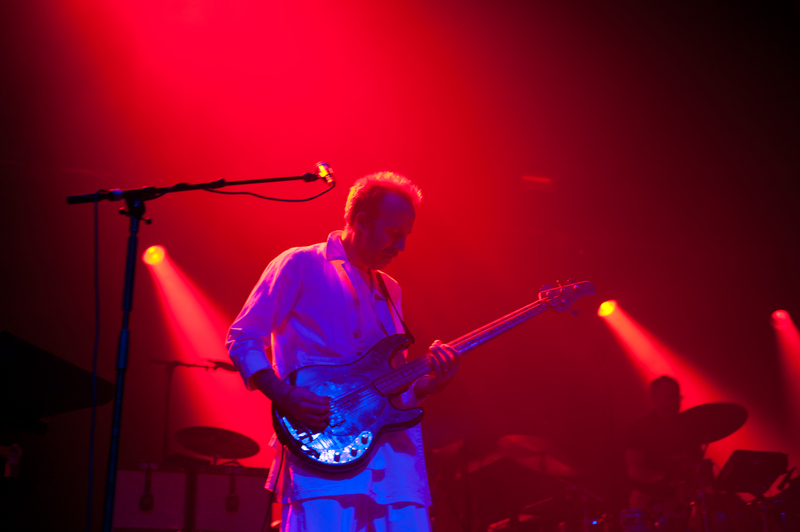 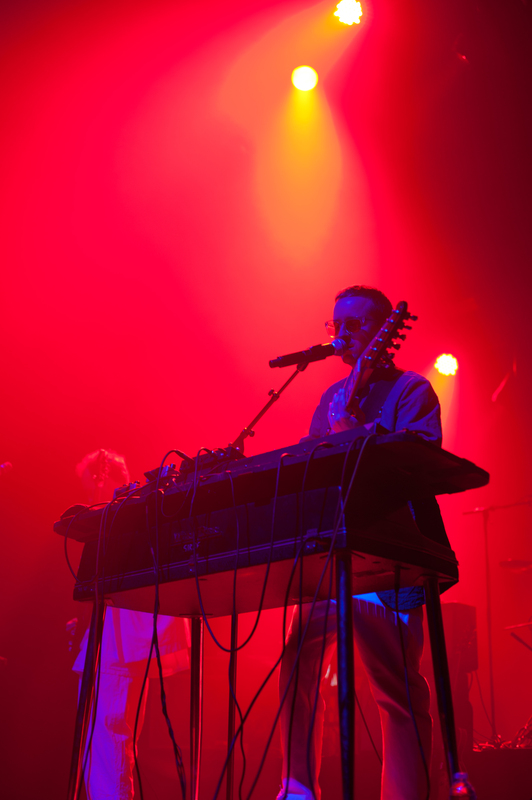 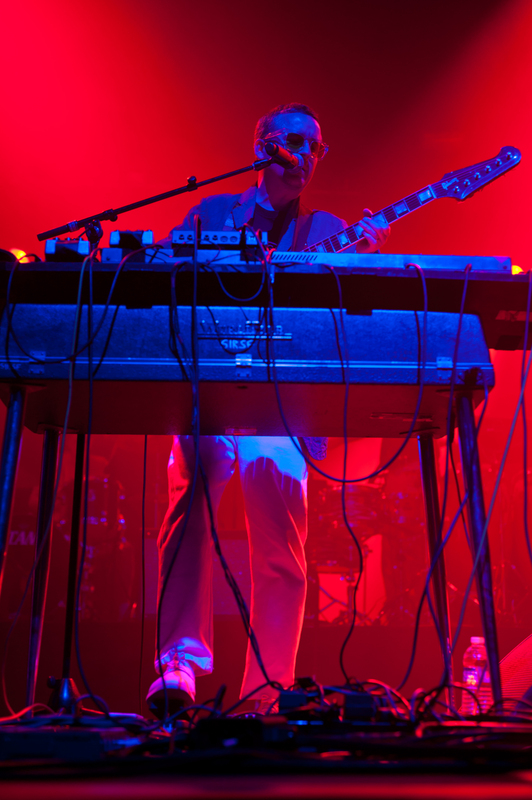 Surprisingly enough, Hot Chip frontman Alexis Taylor and his bandmates got off to a slow start, as it took a few songs for the venue’s sound team to find the right bass and vocal levels on the boards. 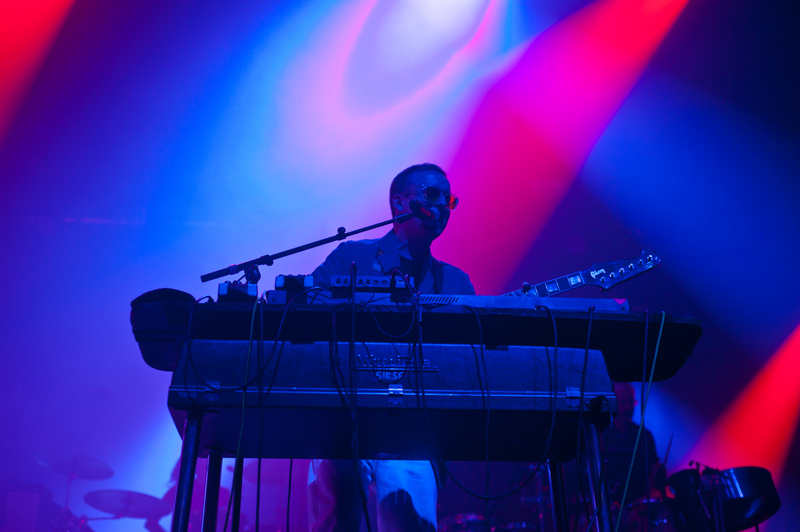 But once the sound levels were synced up, you could hear the crowd let out a collective sigh of relief as Hot Chip carved into the meat of their set. 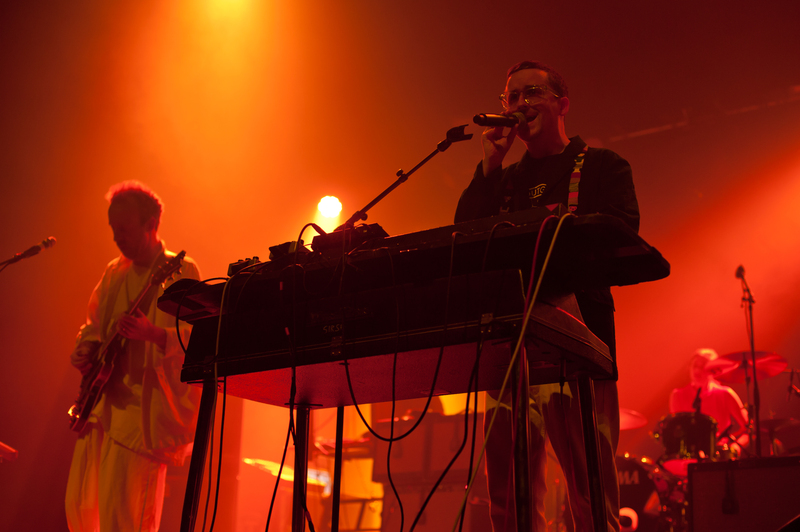 Even the band’s on-stage presence shifted as it transitioned into some lighthearted dance routines that featured some playful exchanges with fans. 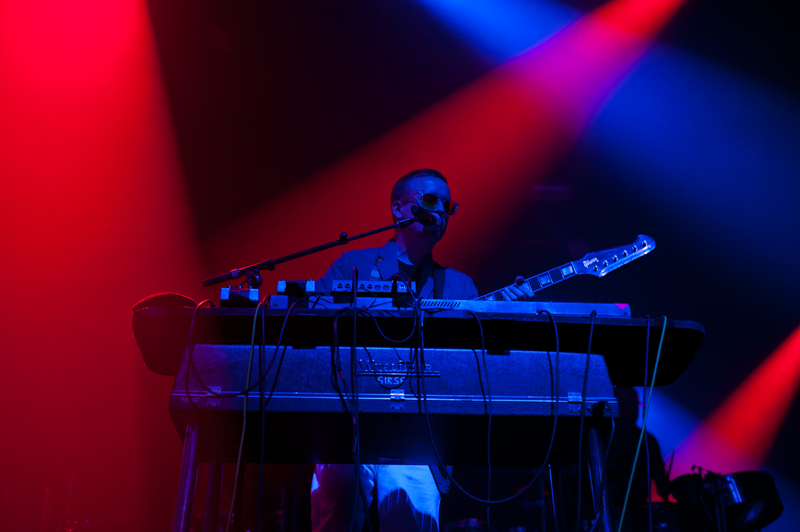 At one point during Hot Chip’s set, Taylor went as far as to mention how they were extremely jet lagged and weren’t sure exactly how the show was going to go, but that they never had a doubt in their mind that Oakland was “going to bring it.” He went on to thank those present for invigorating him and his travel-weary sidekicks, adding that the show was one of the most enjoyable ones they’ve played on this latest tour. 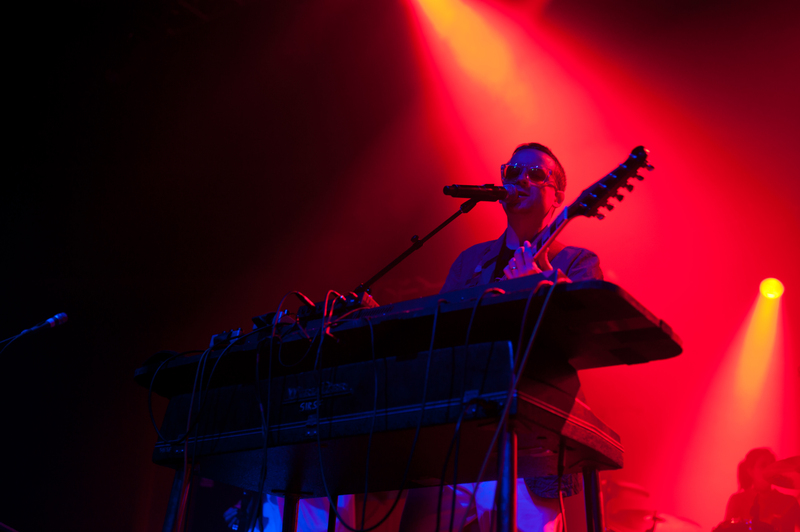 With the crowd riding off the palpable energy of the performance, the band subsequently lost itself in a shared moment of pure, unadulterated bliss. 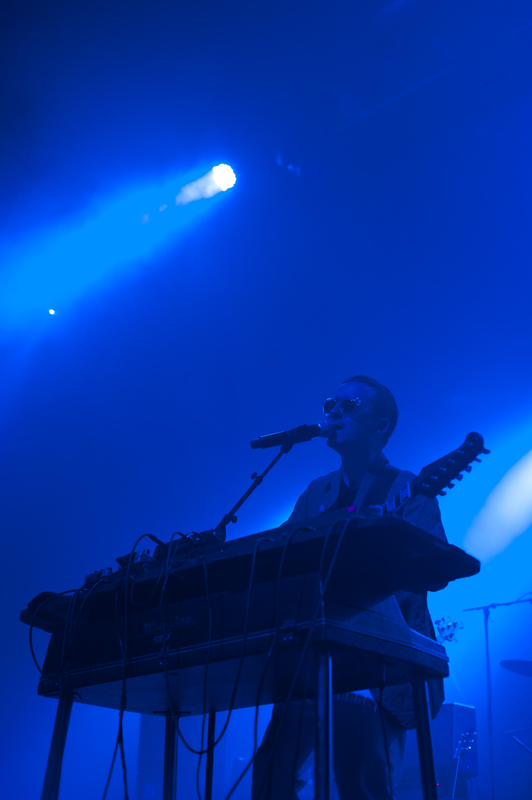 In between songs, some fans shared moments of where they were when they first heard a particular track or what memories they had attributed to another. 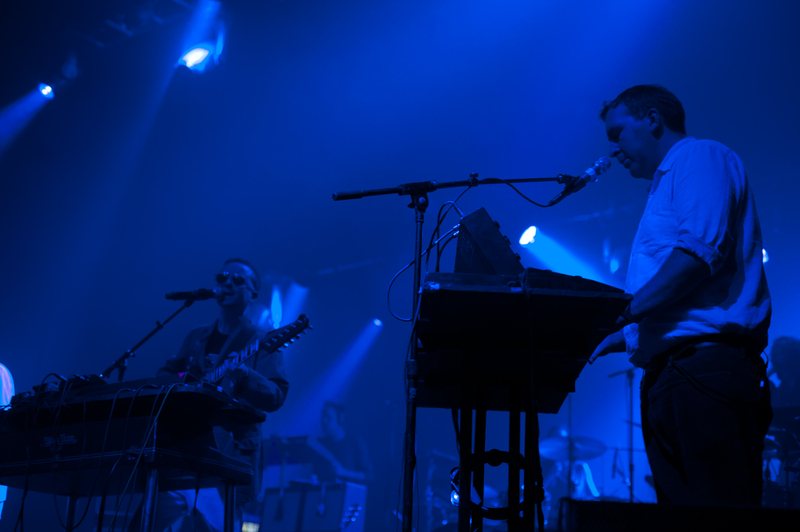 The collective peak of the show came toward the end of the set and was punctuated by a double encore, which started with their Bruce Springsteen/LCD Soundsystem mash-up (“Dancing in the Dark” to “All My Friends”) and finished with one last deep cut in “Let Me Be Him”.